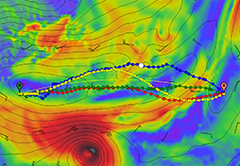 This free app from PredictWind allows the seamless downloading of multiple GRIB files for your coastal or offshore passage. The intuitive interface allows you to download and immediately view GRIB files, weather routes, GMDSS Text forecasts and Satellite Imagery. Be safe and confident of your offshore forecasts with access to the PredictWind PWG/PWE forecasts in addition to the GFS/ECMWF forecasts. Download the Offshore App Now! 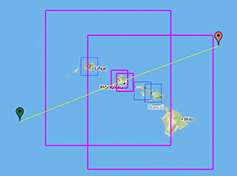 To get GRIB files on a Satellite/SSB Connection, and to use the Weather Routing/Departure Planning tools you will need to have the Standard or Professional Package. GRIB files are a special binary format of weather data. It is the same forecast as available on the weather forecast site, but as the files are highly compressed, it is ideal for downloading across wireless communication devices. Click and drag the start and finish waypoints for your trip. The app will automatically select the relevant high resolution and offshore GRIB files for your trip. High resolution GRIB files are only available with Standard/Professional account. Click on the download button to download your GRIB files. 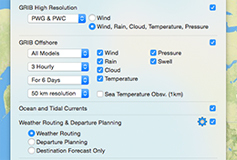 You have the option to select your parameters such as Wind, Rain, Wave, Cloud, Temperature, Sea Surface Temperature and Current. The GRIB files from your latest download are automatically displayed, and can be animated by the control menus. 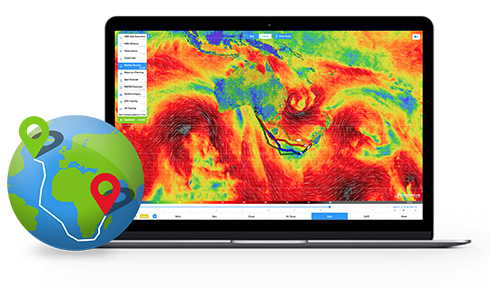 The app includes a collection of incredible tools for trip planning and forecasting including PredictWind's powerful Weather Routing, Departure Planning, Destination forecast, GMDSS text forecasts & Satellite imagery. Learn more about how to use the Offshore App for your Satellite or SSB connection with our comprehensive tutorials. PredictWind Offshore App with Iridium GO! The Offshore app has built in Iridium GO! connectivity and optimization. 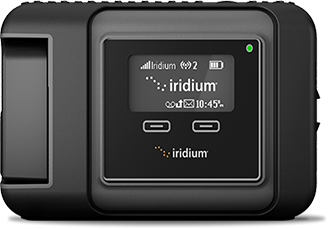 You can connect directly with the Iridium GO! to access GRIB files anywhere in the world via satellite with the incredible unlimited data plan. The Offshore App has built in connectivity with the RedPort Optimizer allowing connection with most Satellite devices. 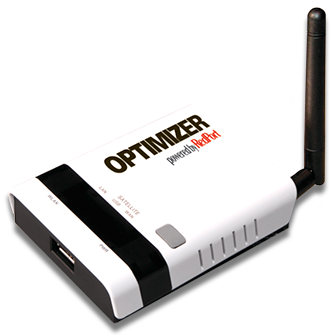 Note: The Iridium GO has all the features of the Optimizer.